The EcoStorm is a gravity separation stormwater treatment system. The system utilizes two concentric circular structures of varying diameters. 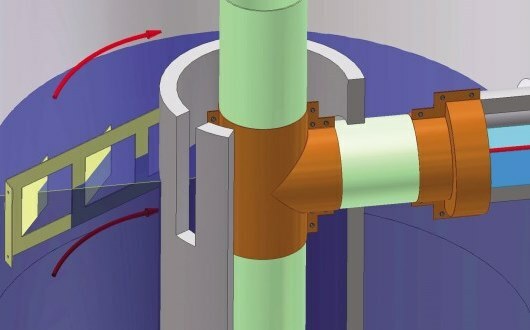 Water levels within the inner and outer cylinders are equalized through a vertical weir opening. 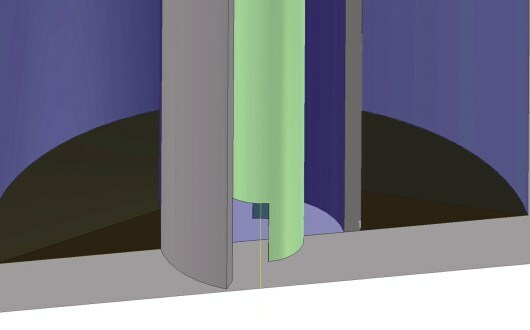 The outer cylinder separates contaminated particulate from the influent. 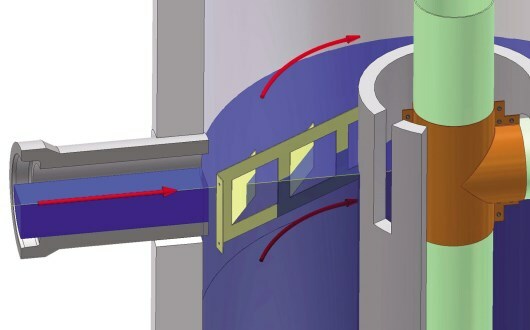 A deflection plate promotes swirling motion in the structure, increasing the travel path for pollutants between the inlet and outlet, thereby providing more time for gravity separation of settleable solids. Floating pollutants such as petroleum and litter are retained in the structure via the skimming outlet pipe. An optional debris screen can be utilized on the influent pipe to catch floatables and other large litter that may negatively impact downstream systems. Water is directed tangentially through the outer D1 separation chamber where heavier suspended solids settle to the bottom of the system. Water flows over the top of the inner D1 separation chamber and then down to the bottom of the D1 chamber before travelling back up to the effluent discharge pipe.